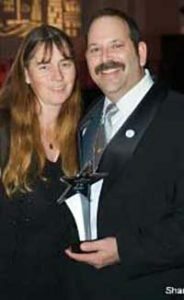 Cheryl & JD Firestone believe interactive entertainment is FUN entertainment. 'JD the DJ' approaches the art of professional DJ entertainment for Sacramento and Placer Counties in a unique way. He uses an engaging, interactive style so attendees become part of the celebration, rather than just observers on the sidelines. His wife Cheryl brings a woman’s perspective to the mix, assisting JD behind the scenes with scripting, rehearsing, and offering song suggestions to enhance this interactive entertainment experience. Interactive entertainment begins with dancing! JD is an accomplished dancer and music enthusiast, talents he uses to coax even the shyest of guests onto the dance floor. He got his start in the entertainment business by volunteering at local radio stations. He then moved his performance into nightclub venues. With Cheryl’s love and support, they eventually formed JD Productions, providing quality disc jockey interactive entertainment and gorgeous lighting for all occasions. They specialize in weddings and Bar/Bat Mitzvahs, and excel at corporate events, kids events, and celebrations of all types. JD and Cheryl take their business seriously and have been members of a variety of professional organizations over the years to promote professionalism and integrity within the industry. 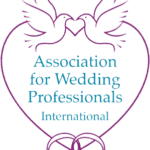 They currently are members of the Sacramento and Sierra Foothills Chapters of the Association for Wedding Professionals International and the American Disc Jockey Association. Interactive entertainment is the key ingredient to the success of your event. Call JD and Cheryl Firestone to learn more about this dynamic company without obligation: 916-786-6935.